When you go diving around a Caribbean island you might spot a docile looking shark with a light brownish color laying still on the seafloor, hidden away between crevices or in a cave. This species is called the nurse shark. Despite a broad range of theories, the origin of its name remains unclear, but it does seem to fit the species’ gentle nature. The nurse shark is a harmless species, with whom no fatal encounters were ever recorded. As a relatively large shark species that can grow to over three meters in length, it occupies a relatively high position in the foodweb and its presence helps regulate the health of coral reefs and mangrove systems. But its size and slow reproductive rate make it particularly vulnerable to human threats. Therefore, it is important to find ways to avoid catches and assure an increased survival of nurse shark populations around the island in order to safeguard their presence for the future. 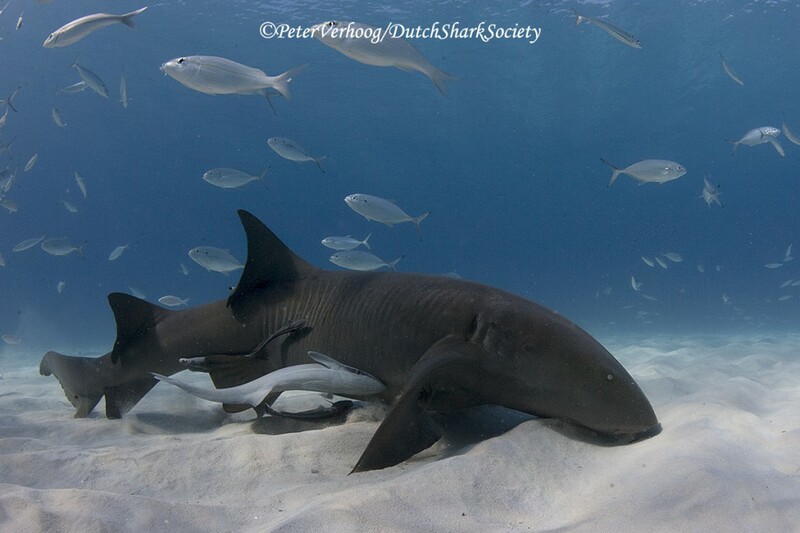 The nurse shark is one of the most common species around the Dutch Caribbean islands. During daytime it usually hides, but at nighttime the shark will forage for small fish, mollusks and crustaceans between the seagrass beds, mangroves, and coral reefs. To help speed this process along, the nurse shark uses two worm-like appendages on its snout called barbels with which it detects small movements under the sediment. Between the ages of fifteen to twenty years female nurse sharks start to reproduce once every two years. Following a six-month gestation period, they give birth to approximately 35 babies, who can fend for themselves from the minute they leave their mother’s womb. Even though the nurse shark is relatively well studied, and we have some knowledge about its biological traits, reproductive system, and food habits, there are still large gaps in the knowledge about the species’ distribution, habitat use, and population structures. 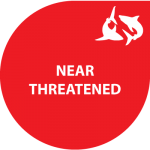 From research we do know that nurse sharks tend to stay within small geographical ranges, rendering them vulnerable to local extirpation from overexploitation. Therefore the International Union for the Conservation of Nature (IUCN) has categorized the subpopulation of nurse sharks living in the Western Atlantic as near threatened. In the wider Caribbean region the species is actively targeted in different fisheries for its meat and fins, but in Dutch Caribbean waters fishermen typically only consider them a nuisance. Because the sharks swim around in shallow water, they are highly susceptible to fishing gear targeting other fishes, in which they get stuck. The action to free a nurse shark costs fishermen not only a lot of effort, but oftentimes their gear as well.